Land Rover stopped production of the original Defender in 2016. LONDON -- An off-roader modeled on Land Rover's classic Defender could be rolling off UK production lines if the owner of petrochemicals giant Ineos can win government backing for it. Ineos founder and CEO Jim Ratcliffe said on Tuesday he plans to build 25,000 of the new 4x4s a year, which will be modeled on the Defender as the design is not currently trademarked in Britain. Jaguar Land Rover stopped making the off-roader in 2016 after 68 years. 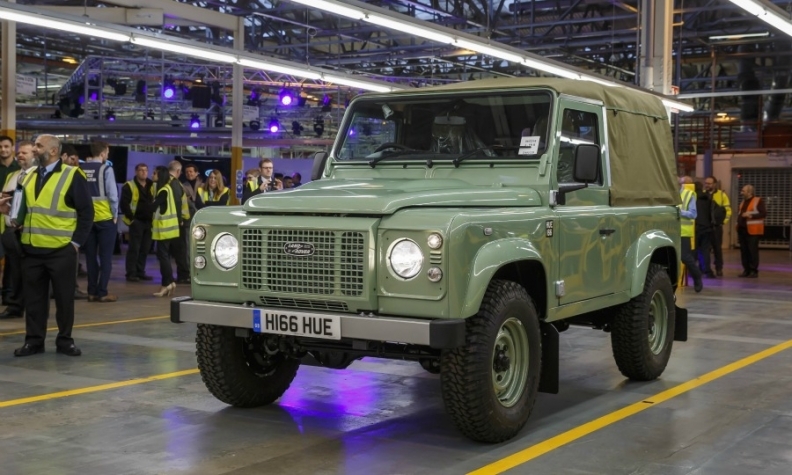 However, a spokesman at JLR, which plans to build an updated version of the Defender, said the original design has been registered in many countries and a trademark application is currently under way in Britain. If Ratcliffe succeeds in his plans, the automotive arm of Ineos would become one of Britain's biggest domestic carmakers, with an output more than double that of long-standing small-volume brands such as Aston Martin, McLaren, Bentley and Rolls-Royce. Ratcliffe said he would invest 600 million pounds ($800 million) to begin output of his new off-roader from about 2020, saying he would prefer to build in Britain but that there are cheaper alternatives in countries such as Germany where the workforce is already trained and Ineos could use existing sites. "We'd have to build new in the UK so to balance that playing field because you're talking about hundreds of millions to build a facility... it does need some government support," he said. Ratcliffe identified a number of potential sites in Britain on the east coast, from Scotland down to the northern city of Hull, with a decision due before the end of next year. The investment would also come as a welcome boost to the government as the car industry becomes increasingly concerned that its exports could face tariffs of up to 10 percent and borders checks if Britain leaves the European Union without a free trade deal, risking the viability of factories. Ratcliffe told Reuters that he was confident that politicians would strike a deal which would maintain unfettered trade as both British and EU businesses stand to lose out. "I think common sense will prevail... so I'm not spending too much time worrying about Brexit," he said.